Since 1983, April 18 has marked UNESCO’s International Day for Monuments and Sites, an event honoring and raising awareness of Europe’s diverse cultural heritage. This year’s celebrations will bring about an exciting and unique opportunity for Tuscans and visitors alike: for the very first time, the 12 Medici villas and two gardens will include a series of free events and activities in the admission fee. The Medici Villas and Gardens achieved the status as a UNESCO World Heritage site in 2013. Tucked among the hilly landscapes of Florence, Prato, Pistoia and Lucca, these majestic residences served as getaways during the hotter months of the years for the Medici rulers and their families and provide unique examples of their expansive historical and artistic influence. The Medici family, who reigned from the 1400s to the early 1700s, collected plant species from all over the world which is reflected in many of their gardens. The doors of the Villa di Castello will open to the public from 8:30 am to 7 pm. The Villa di Castello is a traditional example of Tuscan architecture, but its garden is what makes it really spectacular. Exceptionally, the water will be turned on at the fountains of Hercules and Antaeus and the Cave of Animals at 11 am and 4 pm. The unique cave is decorated with mammals made from stone and bronze under a mosaic ceiling created from natural materials, including shells. Guests are also invited to visit the Accademia della Crusca, a historic linguistic academy still active today; tours are offered at 1, 2 and 3 pm (for reservations, call 366 6461986 or send and email to incontralacrusca@crusca.fi.it). The fountains of both Villas Castello and La Petraia will be turned on. The Villa della Petraia is elaborately decorated, including a breathtaking frescoed ballroom. A vocal and instrumental concert by L’Homme Armé featuring the music of Monteverdi will be held at 5 pm. The pathway connecting these two monumental residences will also be open to the public. Florence’s famous Boboli Gardens will provide free, guided tours to the ancient citrus tree area between 10:30 am and 12 pm. Just outside the city walls, the Medici Villa of Fiesole will also offer complimentary tours from 4 pm to 5:30 pm. This was the very first of a succession of Medici villas in the Tuscan countryside, built as a summertime retreat from the city and the heat. Cosimo “the Elder” de’ Medici granted the building commission to Michelozzo in 1458. The garden is located on steep slopes overlooking Florence. 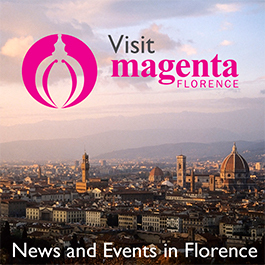 Back in Florence, cost-free visits to the Medici Villa of Poggio Imperiale museum are scheduled at 3:30 pm and 5 pm. At the Medici Villa of Pratolino, visitors will be able to join in a 3k (2.8 mile) nature walk at 10:30 and 2:30 pm from the heart of the Medici park to Montili, whose location offers a breathtaking panorama of the surrounding landscapes. Pratolino also features the monumental stonework sculpture ‘The Giant of the Apennines, a fusion of art and nature. Formerly established as the hunting lodge of Cosimo I, the Medici Villa of Cerreto Guidi will offer several guided tours, featuring musical demonstrations on a spinet, an ancient keyboard instrument, as well as educational workshops for all ages. All of Villa of Poggio a Caiano’s historical residents—the Medici, Napoleon’s sisters and King Vittorio Emanuele II—have left their mark, creating a unique stratification of styles. Lorenzo de’ Medici commissioned the villa to Giuliano da Sangallo. A symbol of the family’s pivotal role as the financing champions of the Florentine Renaissance, Sangallo’s H-shaped villa represented an architectural revolution because he sought to imitate Classical style. Great pains were taken in the use of proportion, harmony and symmetry. Starting at 8:30 am, the Villa of Poggio a Caiano will offer guided visits of the monumental apartments hourly until 5:30 pm, while the museum of still life paintings will be accessible starting at 9 am. The villa and museum tour will be led by an environmental guide at 5 pm, while participants will be joined by Lorenzo Sbaraglio, the museum’s director, at 8:15 pm. Enjoy a night of jazz by the Edward Project and The Unknown Duke at 9 pm featuring Angelo Lazzeri on guitar, Guido Zorn on double bass and Alessandro Fabbri on drums. Guided tours of the Medici villa of Artimino will be available at 5 and 6 pm. 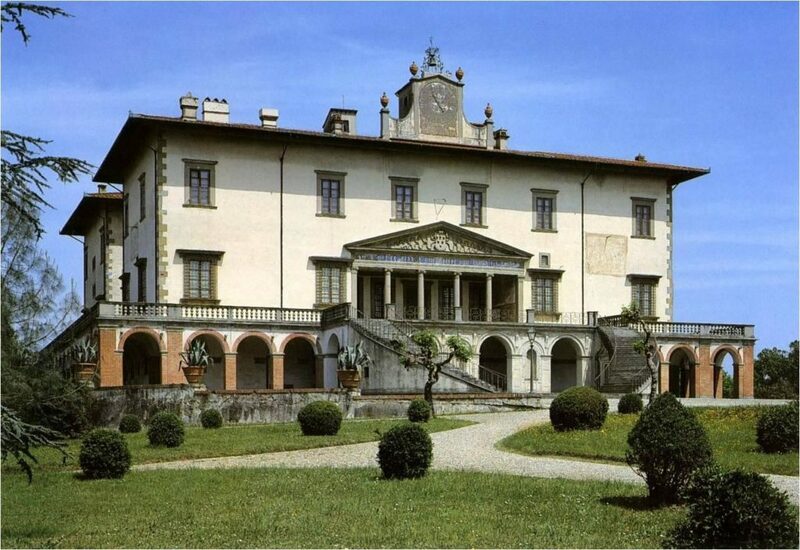 In 1594, architect Bernardo Buontalenti designed the villa as a hunting lodge for Ferdinando I, Grand Duke of Tuscany. He completed it in just seven years and using materials from the ruins of an Etruscan settlement to build the servants’ quarters and stables. The servants’ quarters have been turned into a resort center that now hosts weddings and business retreats in Artimino’s authentic Renaissance setting. A musical performance will feature duo Daniele Di Bonaventura on bandoneon and Alessandro D’Alessandro on accordion in ’Hermanos’ at 5 pm. For bookings and further program details see villegiardinimedicei.it.